Inter Milan are showing strong interest in Lucas Tousart. According to a report from Calciomercato, Inter Milan are eyeing move for Lyon midfielder Lucas Tousart. The 21-year-old has been subject to interest from various European clubs. The France international joined Lyon from Valenciennes for a fee in the region of 2.6 million euros in August 2015. His contract expires in the summer of 2022. 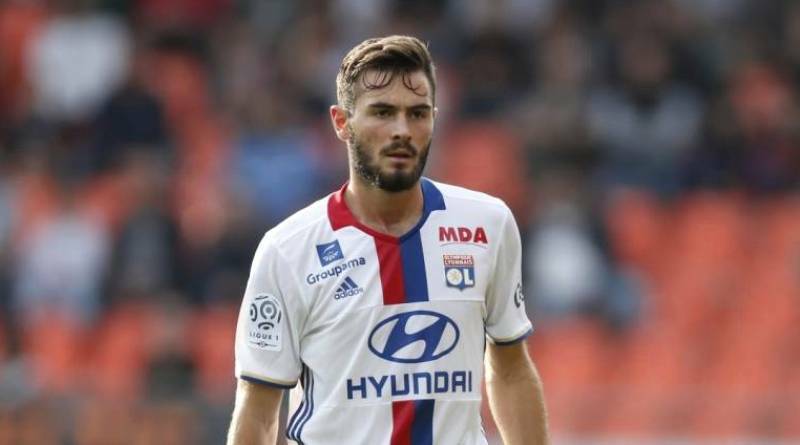 Tousart has played 91 times for Lyon since signing from Valenciennes, scoring two goals and creating two assists in that time. The 21-year-old has been touted as one of the brightest young prospects in France. Lucas Tousart has represented France at Under-19, Under-20 and Under-21 level, winning 40 caps and scoring three goals. The France international has impressed in Ligue 1 last season and is starting to attract the interest of bigger clubs. Luciano Spalletti is looking to shore up his midfield options and Lyon’s Lucas Tousart happens to be a target. The France international is thought to perfectly fit the profile of midfielder Luciano Spalletti wants to target in the winter transfer window. Inter Milan are in the market for just a handful of statement signings who can improve the first-team. Lucas Tousart has the talent to play many roles in midfield. A big money bid from Inter Milan could tempt Lyon into selling their prized asset. Stylistically, he would be a great fit in Inter Milan. Inter fans would certainly love to see him arrive at the club this winter.